Pega 7 is installed as a Personal Virtual Server (PVS) utilizing the VMWare Player or Oracle VM VirtualBox as described in the Downloading the Exercise System section of the System Architect Essentials I (7.1) and Senior System Architect (7.1) courses provided by Pega Academy. Here, Windows 7 is used as the host operating system. The steps should be similar for other OS. Download the pgAdmin tool for Windows from https://www.pgadmin.org/download/windows.php or for the Mac from https://www.pgadmin.org/download/macosx.php. In this example, pgAdmin version 1.14.3 for Windows was used. Follow the pgAdmin installation instructions to install the application. The exercise systems on Pega Academy use the PostgreSQL DB server as part of the PRPC personal virtual server installation. 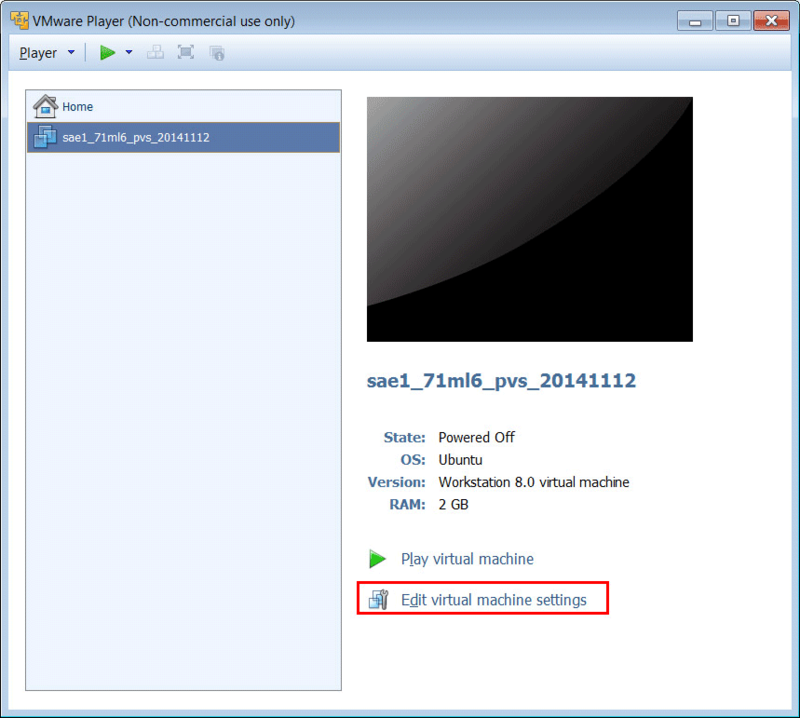 Open the VMWare Player and click on the virtual machine and then click on the link Edit virtual machine settings. 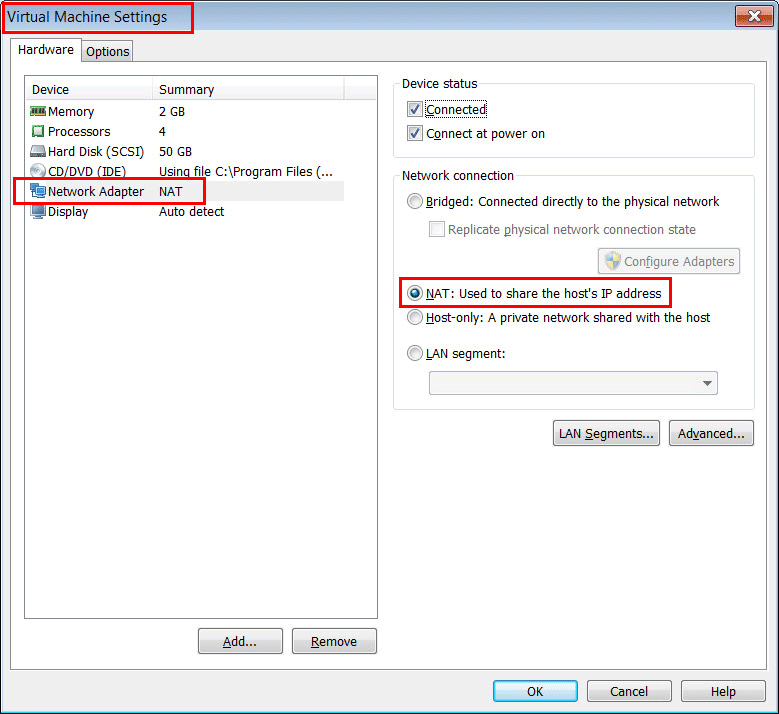 Clicking on Network Adapter opens a view showing the current network connection settings. 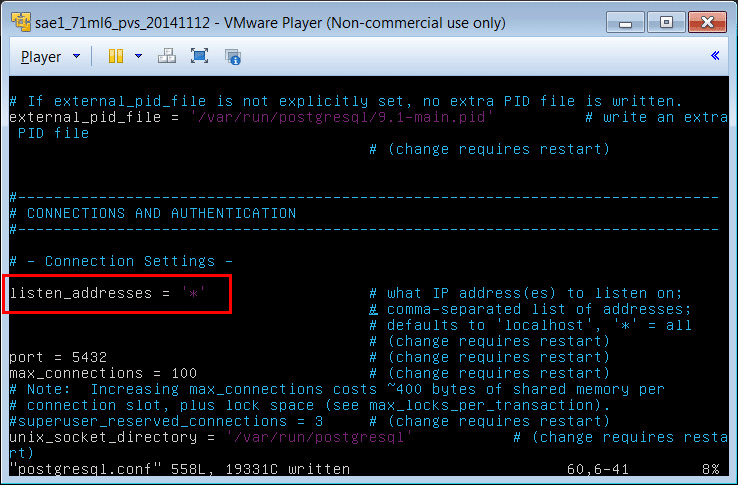 In this example, the Network Adapter under Virtual Machine Settings of the VMWare Player is configured to use NAT (network address translation), so that the host’s IP address is shared (in this case the Windows OS on which the VMWare Player is running). This will result in the virtual machine using an IP address in the 192.168 private network that is shared with the host operating system. 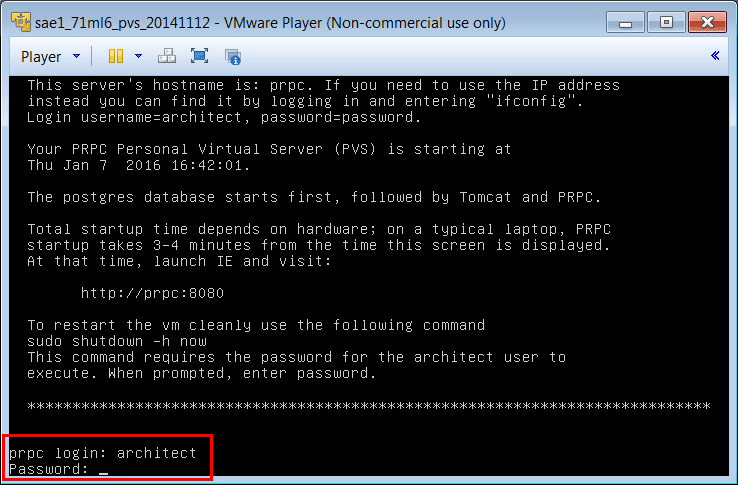 Next, use the VMWare Player to start the virtual machine by clicking on the link Play virtual machine and access it through the command line using the default user architect and the default password password. 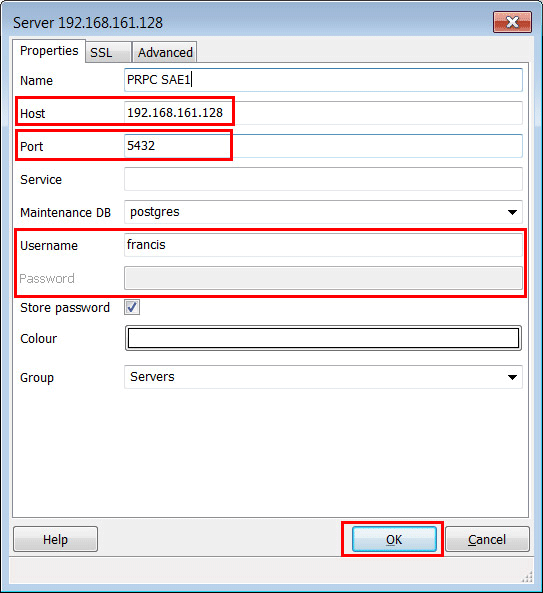 For newer versions of the Pega Exercise System, use the default user root and the password install. The PostgreSQL server instance needs to be configured so that it allows connections from the 192.168 private network since pgAdmin has been installed on the host operating system. 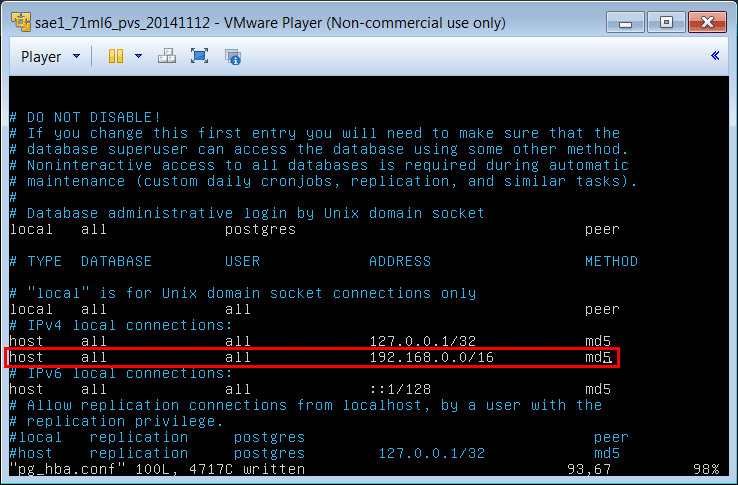 Navigate to the folder /etc/postgresql/9.1/main on the virtual machine and locate pg_hba.conf. On newer Pega 7 versions, the file is located at /var/lib/pgsql/9.4/data. In the section # IPv4 local connections, add: host all all 192.168.0.0/16 md5 to allow incoming connections from pgAdmin running on the Windows host operating system. Locate the section # CONNECTIONS AND AUTHENTICATION and uncomment the parameter listen_addresses and set its value to '*'. …can be used to only restart PostgreSQL so that it applies the updated configuration files. The PostgreSQL DB server running on the virtual machine will now accept remote connections from any IP address. 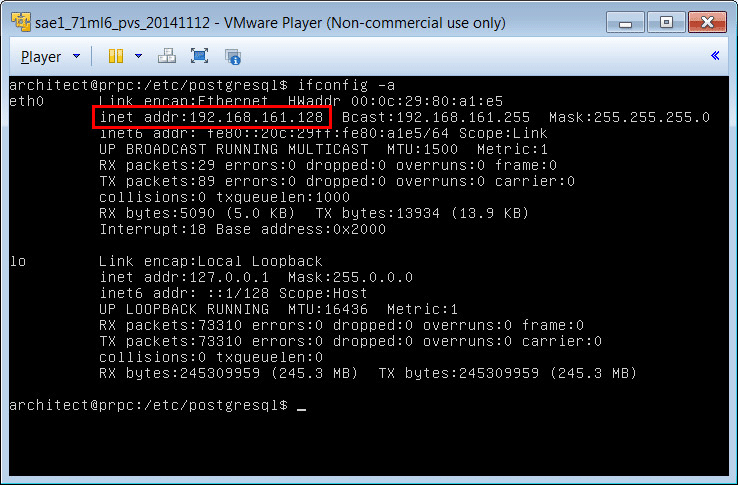 sudo -u postgres psql -c "SHOW port;"
In this case, the IP address of the virtual machine is 192.168.1.128. Open the pgAdmin application on the Windows host system. In pgAdmin, click on File in the top level menu and select Add Server. In the New Server Registration dialog, enter the name for the connection, the host name, the port and the username and the password of the super user account created earlier. Then click on Ok to open the connection. 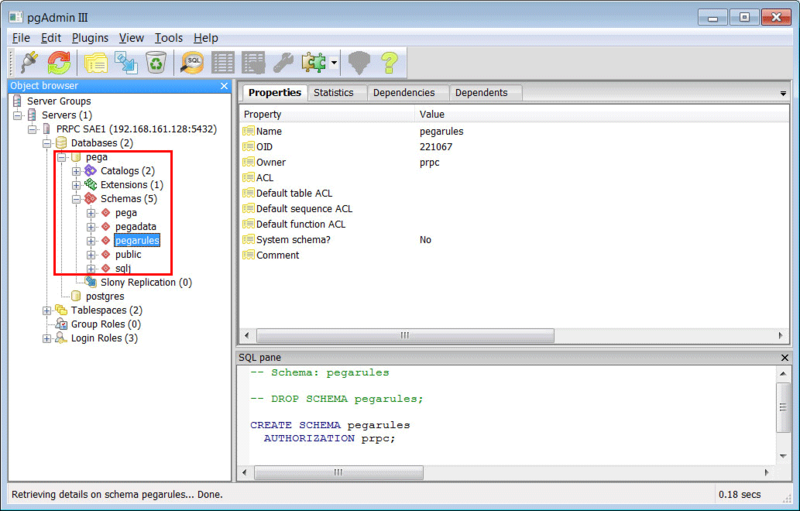 Double clicking on the new server connection opens a tree menu showing the Pega PRPC database named pega. pgAdmin can be used to understand how PRPC operates and how it maintains data and rules by looking at the tables in the associated schemas. Caution: Modifying or deleting data or PRPC system tables can compromise a Pega 7 instance and render it useless. From step 2 Configuration of PostgreSQL DB Server to Accept Remote Connections. I am not able to find any data here to make modifications, as well as after adding the details not sure on how to come out of the cmd prompt of vm. Can you please provide detailed info on how to connect to postgress sql database of SSA exercise system of 7.2 for windows 7 and for the latest pgadmin4.